Just over a year ago, Janey Law and Norman Young weren’t sold on the idea of starting their own fund. As the children of immigrants, they both live by the humility instilled in them by their parents. “Our cultural background is one in which you actually don’t want to stand out too much,” explains Norman, a software manager. “Humility is highly valued and it’s about the collective, not the individual,” adds Janey, an accountant. 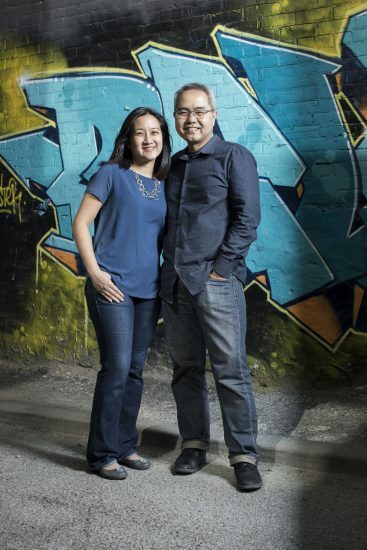 As passionate foodies, both Norman and Janey want to help all Torontonians access healthy food through their fund, the NJ Foundation. “When you’re in a big city like Toronto you don’t really realize that a lot of people struggle with food insecurity,” says Janey. “So many people have all this potential but if they’re worrying about food, they’re probably not thinking about much else.” They hope to support organizations like The Stop Community Food Centre, who are dedicated to providing vulnerable Torontonians with nutritious food while addressing the underlying issues that lead to poverty and hunger.